Take-Two CEO Ben Feder predicts that an entire generation of gamers is on the cusp of "graduating" from the Wii to the more advanced Move and Kinect-based systems. The Nintendo Wii may have put the boots to the Xbox 360 and PlayStation 3 in the latest round of the console wars but that doesn't change the fact that it's a distant third technologically. So what will happen when Microsoft and Sony finally get around to unleashing their own motion-control systems? Both companies are late to the party but in Feder's opinion, there's a potentially huge audience waiting for them to show up. The Take-Two CEO told an audience at the Kaufman Brothers L.P. Investor Conference that his son, who was given a Wii when he was nine years old, refuses to invite his friends over for gaming sessions now that he's in his early teens because he's "too embarrassed" about not having an HD console. How it is that the son of the chief executive of a major videogame publisher doesn't have an Xbox 360 and a PlayStation 3 is a good question, but it's not the point; the point is that Feder thinks there are a lot of people in the same situation and that they're ready to move on. "What Sony and Microsoft have really done with Kinect and Move, especially Move, is provide a bridge for guys that are used to playing the Wii system with the wand and bringing them over to a HD system," he said. "The PS3 with Move, in my view, is the Wii HD system. I think maybe Mom isn't playing, but the kids are 'graduating,' and Microsoft and Sony have both provided a bridge to bring them over." "I do believe Nintendo did widen the audience," he continued. "I can't tell you how many people are going to 'graduate,' but I do believe they raised a generation of kids to play videogames that are now growing up and wanting a true HD experience." 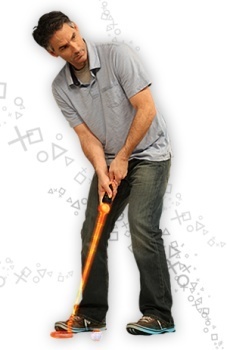 PlayStation Move hits North American shelves in just two days; Kinect comes out on November 4.